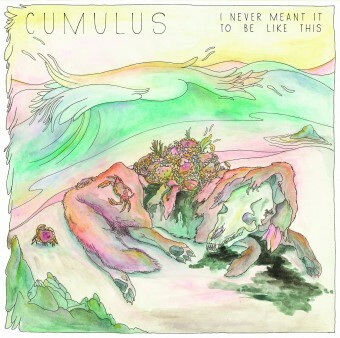 There was something about “Do You Remember,” Cumulus’ lead single which was released back in May that felt a little too reflective for spring. But as the full-length reaches us as the summer falls into autumn months, the season has never felt quite so apt for a wonderfully honed set of flickering guitar-driven indie pop. Front woman Alexandra Niedzialkowski’s lyrical choices, which employ a delightfully dramatic nostalgia, have already led to some key comparisons in the form of Denver’s Tennis and the more familiar Best Coast. However, tracks like “Ocean Song” showcase a dreamier and lighter side to the former, while “Middle” sees the band display a chuggier and lengthier approach than the latter. The unit approach to Cumulus, backed up by some bouncy tracks like the purely pop-driven “Hey Love” will see the band achieve a certain level of success akin to their contemporaries but the record does stumble on occasion, sometimes drifting too far into its own sonic landscape. While it is clearly sculpted, embracing the drearier tone sees the sharp bite present in the lead single and other up-tempo numbers somewhat reduce as the record plays out.